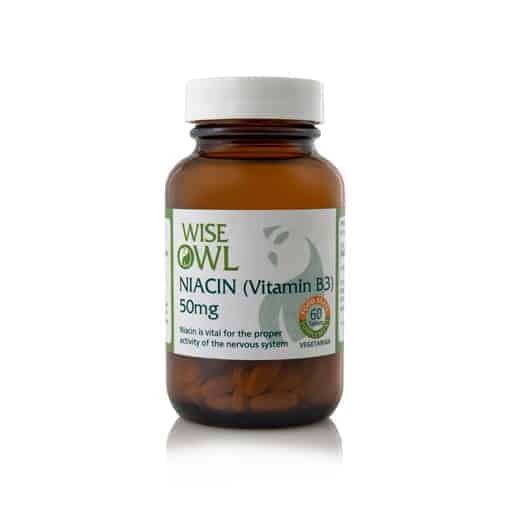 Wise Owl’s ‘Food State’ Niacin (Vitamin B3) is made using high quality, whole food ingredients. Combined in a food base of ”lactobacillus bulgaricus”, it gives superior absorption, utilisation & is gentle on the tummy. Suggested dose is 1-3 tablets daily, so this is a 20 to 60 day supply. Wise Owl's natural Niacin tablets are a 'food state' supplement, made using high quality, whole food ingredients. They are free from nicotinic acid which can cause flushing in some people. Our Niacin supplement is combined in a food base of "lactobacillus bulgaricus", to give superior absorption, utilisation & is gentle on the tummy. Niacin (Vitamin B3) is vital for the proper activity of the nervous system & for the formation & maintenance of healthy skin, tongue & digestive system tissue. A recent study has shown that Vitamin B3 may help prevent miscarriages & birth defects (BBC News). Niacin acts as a co-enzyme thus assisting in the breakdown & utilisation of proteins, fats & carbohydrates. Niacin acts as a co-enzyme thus assisting in the breakdown and utilisation of proteins, fats and carbohydrates. Niacin (Vitamin B3) is part of the B-Complex Vitamins. 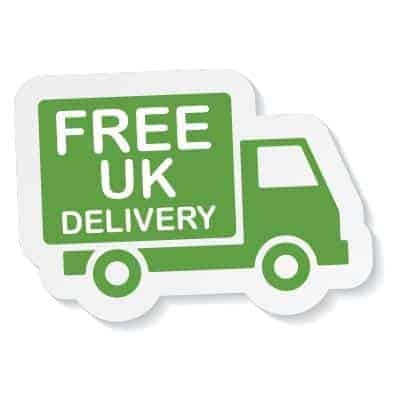 Our Food State Niacin tablets are free from nicotinic acid which can cause flushing in some people. This Food State supplement comprises 50mg of Niacin per tablet (312% of UK RDA). This supplement comprises a food base of ‘lactobacillus bulgaricus’, a native and friendly bacterial inhabitant of the human GI tract. As this bacteria fits into normal metabolic pathways it acts as a natural carrier to helps give optimal absorption and utilisation of the nutrients. Maintenance of normal skin and mucous membranes. This supplement is beneficially combined in a probiotic base. This supplement is suitable for Men, Women, Children and the Elderly. Recommended Intake: 1 tablet before a meal, up to 3 times a day, or take as directed by a practitioner. Product Ingredients: Lactobacillus bulgaricus providing niacin (niacinamide); vegetable stearic acid. Product Non-Actives: Vegetable stearic acid.